set up.18yd to 18yds. Full width. 30 yd x 30 yd box for midfielders to transfer ball. GK plays quickly into any player on their team. 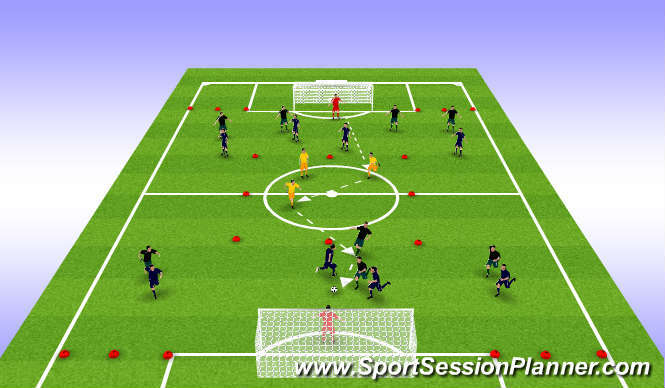 This player must then attempt to pass forward into a midfielder or attacker. Both midfielders back up the play. One front player must drop to dislodge back 4 defenders. the rest must threaten the back of the defenders. Rotation of these players must be encouraged. Coaxh the transition from defense tomattack.